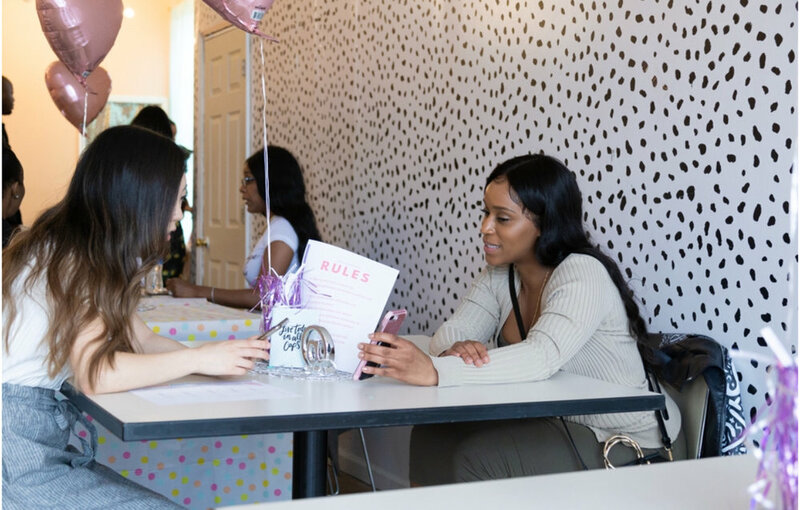 This Past weekend our founder Covania Washington produced a networking event alongside fashion stylist, Danielle Vonkeller titled 'Business Bestie Speed Networking' at Studio G Chicago. We also had the pleasure of having an amazing panel of entrepreneurs from Chicago including Resa B. Luster of Luster Products and founders of Rare Vodka Kim and Tonesha. The event was filled with food, cocktails, conversation and endless connections. 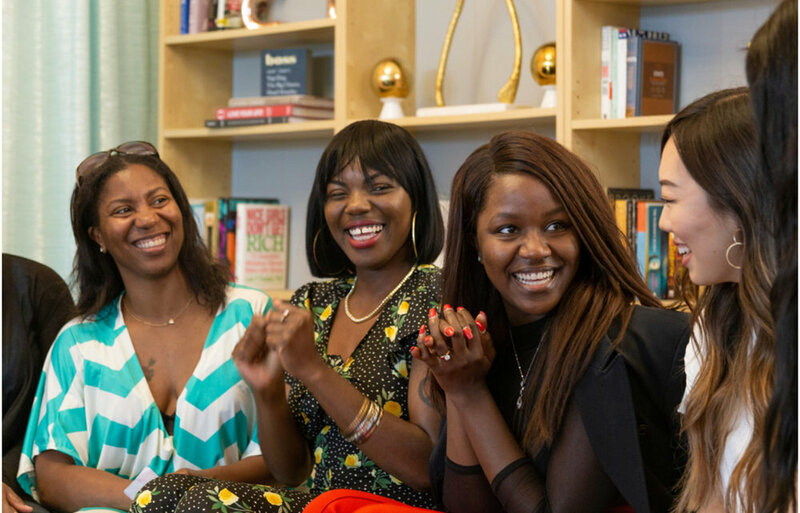 This was truly a moment for women entrepreneurs from Chicago to learn how to start a business, grow their business and the importance of having a "Business Bestie" or business partner. When guest arrived each person had to sign in and everyone was encouraged to mingle before the start of our panel discussion. After the informative and motivating panel was an hour session of speed networking. Each participant had three minutes to get the know the person in front of them before switching to a new Business Bestie. Following the end of the fun and interactive networking session, everyone had the chance to follow up with who they enjoyed speaking with the most. This was done in the form of exchanging business cards, contact information etc. The goal of the event was to create an opportunity for everyone in attendance to be inspired to boss up and make new connections, and the response we had was off the charts! 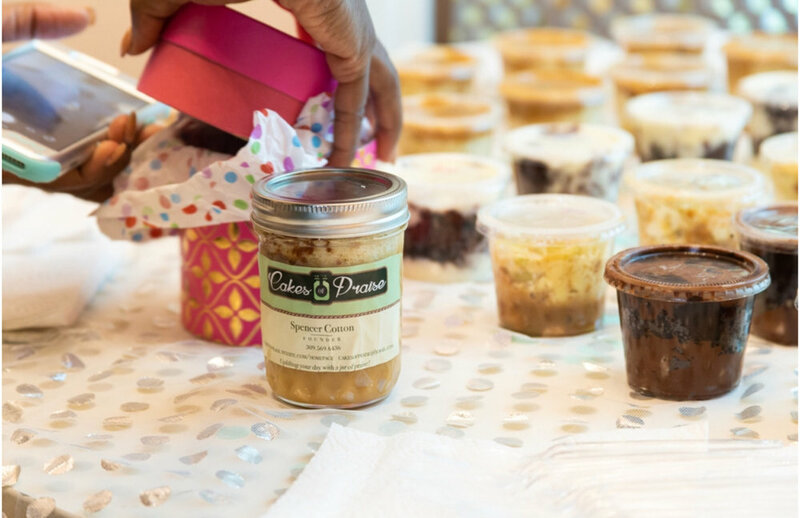 Thanks so much for everyone who attended and a special thanks to our sponsors: Luster Products, Rare Vodka, Cakes of Praise, and Studio G Chicago. We are thinking about making this an event a series so if you will be interested in updates, sign up for our newsletter or let us know in the comments! Until then, remember to create the life your love and live Bomb and Bossy! Images Courtesy of Victoria Gamlen of http://www.victoriagamlen.com/.